SanDisk MP3 player models also known as Sansa Clip Players come with a size that’s convenient to handle. At the time of writing, there’s a choice of colors and storage capacities. For example the 1GB and 8GB models are black, the 4GB model, silver, the 2GB model, red. 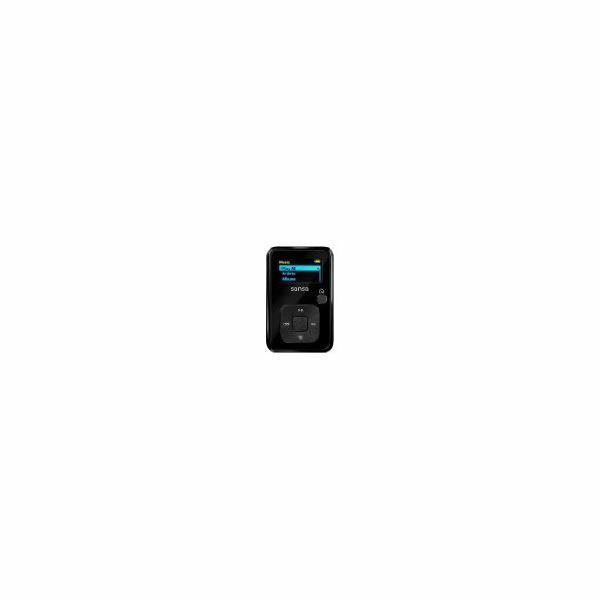 The main features of a SanDisk MP3 player would also impress you. The player supports WMA, secure WMA and Audible audio formats and works with Windows. Also thrown in is an FM tuner with 40 preset channels. If you’re game for voice recording, the player comes with a built-in microphone for the purpose. Now that we have looked at the main features of the SanDisk MP3 player, let’s get down to looking at how to use SanDisk MP3 players. The first step in knowing how to work my SanDisk MP3 player is to ensure that you have enough battery power for the player, especially if you’re away from your computer. If you don’t, you will have to connect it to your computer’s USB port with the supplied USB cable. You will see a yellow icon which signifies that the battery is charging. If you’re using the SanDisk player for the first time, you will want to unlock the player first. You do this by sliding the switch on top of the player. To power on the player, press the power button once. The screen will display your player’s menu options. To power off the player, press and hold the power button until you see the Goodbye message before releasing it. You’re bound to experience a screen freeze at one time or another when using your player. To solve the problem, you will have to reset the player, You do this by pressing and holding the power button for about fifteen seconds. The player will then return to its default settings and you will fix the screen freeze. You will need to connect your player to a computer to manage your music files. Connect with the USB cable as you would do when charging the player. A "Connected" message will appear and you can see the player detected in the My Computer window. To manage your music files you would have to double-click on the player icon in My Computer. To add music files to your player just drag music files from your computer to your preferred folder. If you don’t feel too comfortable with this method, you can copy and paste files from your computer to the necessary folder. Deleting music files is also straightforward. Just select the files you want deleted and hit the Delete key. If you’ve got playlists created in Windows Media Player, you can easily transfer them to your SanDisk player. When you connect your player to your computer, a dialog box appears and you can choose to sync your files to your player. You can choose to set up sync in the next window. The next step you would want to choose the playlists you want transferred to your player. Then hit the Add button and click on the Finish button to complete the process. If you need additional information on how to use SanDisk MP3 players, you can avail yourself of the how-to videos over at the developer’s website.